So, you think you’ve got a good chunk of equity in your home, especially after you’ve renovated and remodeled it to within an inch of its life and you’ve kept hold of it for a good few years. Your hopeful that this capital that you have invested in your humble abode will fund your next leap up the property ladder. However, what you haven’t thought through are the financial implications that moving house will have and this can eat into your equity. What can you do to keep the costs of your house sale down to a bare minimum? When you apply for a home loan for your new house purchase, it pays to try and put down as much of a deposit as you can manage. The lower the percentage of the home value you are borrowing from a lender, the more favorable your interest rate will be. As you shop around for mortgages, try to source one without extortionately high arrangement fees. Some even throw in a free survey. However, don’t get hoodwinked by the gimmicks. You’re still better off with a small initial financial outlay and a great interest rate for the term of your loan. Selling your home and choosing a realtor can be a bit of a minefield. Do your research and consider a more novel way in which to sell your home by inviting realtors to bid for your custom. Agents in your locality can tempt you with offers including returning a chunk of their commission to you once your house sale has been completed. 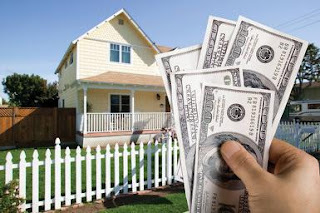 They are still working for a good chunk of commission so will endeavor to sell your home, but you’llalso be lining your pocket to keep down costs. Any money you save on commission can go into savings, renovation costs or top up your home loan deposit. A good broker can be worth his or her weight in gold. If you are finding it particularly tricky to fund your next home purchase even after realizing the proceeds from your house sale because you’re stretching yourself financially, a broker may be able to find an elusive deal. While they will take a cut for their services, it could be the difference between you making do with an average home or being able to settle into your dream pad. Selling your home is still a legal process where all the i’s need dotting and the t’s need crossing. Don’t attempt to cut corners and be tempted to hire the services of a less than reputable property lawyer. Yes, they may be cheap, but there is always a reason for this. Secure the services of a professional based on the first-hand experiences of family and friends. It pays to spend money on the important aspects of your house sale to ensure that nothing comes back to bite you in the near future. Selling your home can be stressful. However, if you follow these tips, you can save as many of your hard earned pennies as possible without scrimping on your next dream home.